In the centre of Cervinia and just 100m from the chairlifts, The Punta Maquignaz combines modern facilities with warm Alpine design. Wood panelled rooms, stone open fireplace in the main lounge, antique furnishings and a display of the owners hunting trophies make this hotel very special. The Mon Amour restaurant is the focal point of the hotel with its sample menus of traditional fare and decorated with Aime Maquignaz's warm images of the resort. All bedrooms have bath or shower, hairdryer, TV, telephone, safe and minibar. Junior suites are available on request. The hotel offers great facilities including Ymeletrob après and cocktail bar, lounge with open fire, à la carte restaurant and free entrance to the spa with steam room, sauna and relax area. Beauty and massage treatments available (pay locally). All rooms have bath or shower, hairdryer, TV, telephone, safe and minibar. Junior suites are available on request. We update Punta Maquignaz Hotel's details often, but facilities do change. e.g. some extras listed by the supplier as "free" or included might only be for the first time you use them, or for one time per party, then charged for further use. If any specific feature is essential to your holiday, make sure you ask us to confirm the details of it before you book your holiday. This package holiday to Punta Maquignaz Hotel in Cervinia, Italy departs Saturday 11th January 2020, for a 7 night stay on a "bed & breakfast" board basis. A local tourist tax (Taxe de Sejour or Kurtaxe) is levied by many councils in European ski resorts. It varies by standard and type of accommodation and is age dependent, so not everyone is charged. It's not included in the basic price of your holiday and is usually paid locally. For reference, the average charged in winter 15/16 was between 50p and £2 per person, per night. Cervinia lift pass price last reported as €204 for 6 day pass. Ask for a quote when booking Punta Maquignaz Hotel. 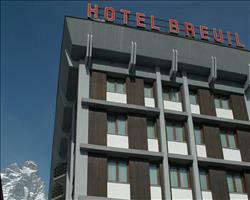 Breuil Hotel Cervinia Italy, Dover Ferry 11th January. 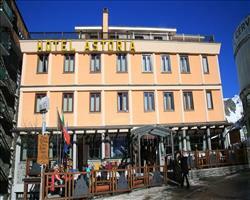 Hotel Astoria Cervinia Italy, Dover Ferry 11th January. 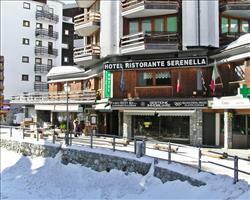 Serenella Hotel Cervinia Italy, Dover Ferry 11th January.